Don't miss out on getting important campus messages. Stay safe and informed by setting up your SOU Alerts account today. Log in to Inside SOU and click on the Alerts tab in the upper right corner. 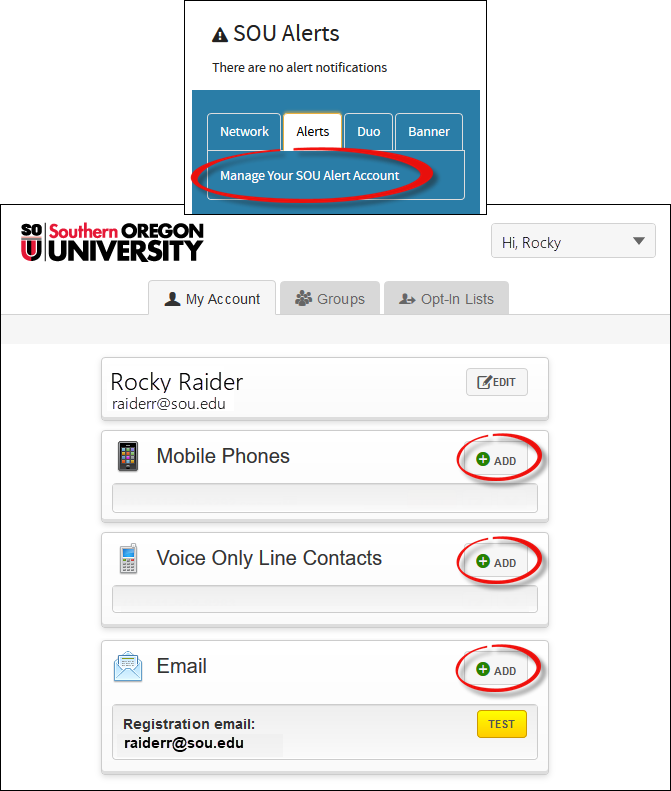 Click on Manage Your SOU Alert Account and add your contact information.